What a great house for a great price! Located on a quiet street with fantastic location for kids walking to schools! 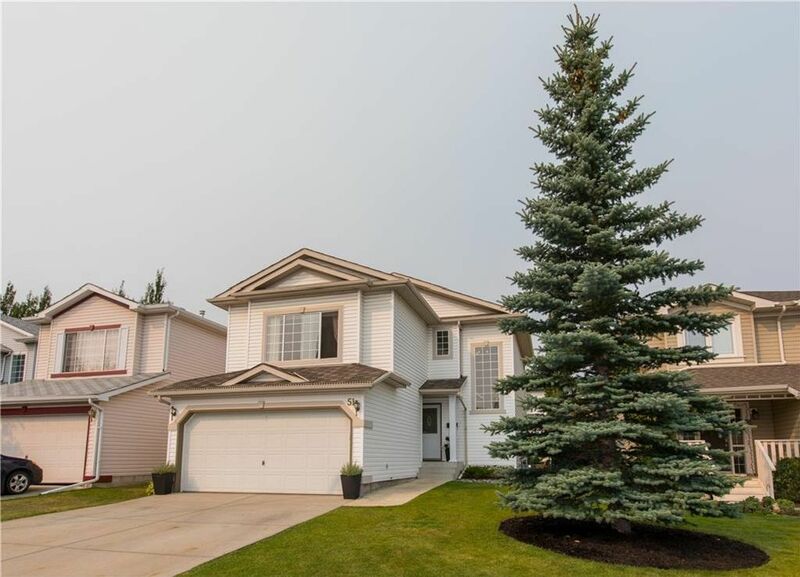 Fully developed 2 storey is immaculate and well maintained. It's well laid out floor plan, has loads of natural light. White kitchen has a large center island and a walk-through pantry. The dining area has sliding doors leading to a spacious deck in the yard. A large window is the center piece for the living room. A 2 piece bathroom and laundry room, complete the main floor. Upstairs bonus room has a corner gas fireplace. Master bedroom has a 4 piece ensuite and a walk-in closet. 2 other good sized bedrooms up along with a 4 piece bathroom. Downstairs if fully finished with a rec. room, bedroom, 4 piece bathroom and lots of storage. The yard is attractively landscaped and has fruit trees. Double attached garage. Hidden Valley has lots of options for schools to choose from including French and English. It's time to make this your new home!